Each year, Americans spend more than $7 billion on beauty products! That figure is staggering considering most of these products are full of synthetic, harmful ingredients that can cause cancer and a myriad of other long term problems down the road from toxic build up. Instead of adding your own hard-earned dollars, why not make your own beauty products and save some money too! Store-bought shampoos may clean your hair, however many of them contain harmful chemicals that can be very drying and harsh on your locks. To avoid adding any unnecessary chemicals to your hair, mix up your own batch of shampoo. Don’t know where to start? Check out these five diy shampoo recipes and you’ll notice the difference in no time! Like homemade shampoos, homemade conditions aren’t hard to make. You can make everything from regular conditioners to leave-in conditioners to deep treatments that deeply hydrate your hair and make all the difference! All you need is a little time to mix it all up and the help offered in these five diy recipes. Sugar, salt and coffee grounds all have one thing in common: they’re the perfect abrasive agent to add to your homemade body scrub. 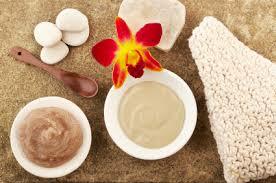 To create your own body scrub, simply mix together one of these agents with oil and essential oil, then scrub! These five diy recipes delve into how to mix up your own body scrubs. The next time you find yourself reaching for lip balm at the grocery store, stop yourself! Instead of purchasing another tube, make your own moisturizing lip balm instead. Not only is it cheaper, but it also can be tailored to the exact flavors you want. Think strawberry, raspberry or mint chocolate! To learn several different methods for making your own lip balms, check out these five diy lip balm recipes. Whether you’re adding fragrance to a base lotion or making your own lotion from scratch, personalizing your lotion with your favorite scents is a fun way to add a twist to your daily moisturizer. For tips on customizing your lotion, read through these five diy recipes. There are mask recipes for every skin type, whether you have normal, dry or oily skin. Masks for dry skin are designed to moisturize the skin, masks for oily skin are typically clay-based and used to dry out the skin and masks for normal skin leave skin feeling soft and supple. The recipes on these five diy mask recipes cover each skin type, so you’re sure to find the one best suited for you. For more DIY Beauty Recipe ideas, check out Green Beauty Recipes.